Well, school has been back in session for about a week now, and my life is already so much busier (as you can probably tell with the lack of posts lately - sorry!). The weather has gotten a little bit cooler (although the next few days are supposed to be hot and sunny. No complaints from me - summer's not over yet!) and I'm slowly getting back into my school routine. 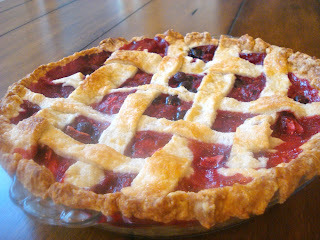 Last week, for one last hurrah of summer vacation, I made this berry pie. 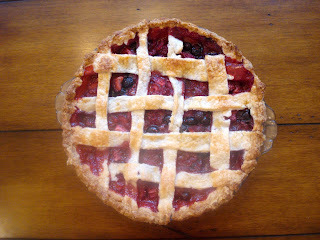 This pie is great for those days when you don't have enough of one berry to make a full pie, or when your berries are going a bit soft. For me, it was a bit of both. I had some blueberries, some raspberries and some strawberries from the farmers market, and they needed to be eaten up fast. 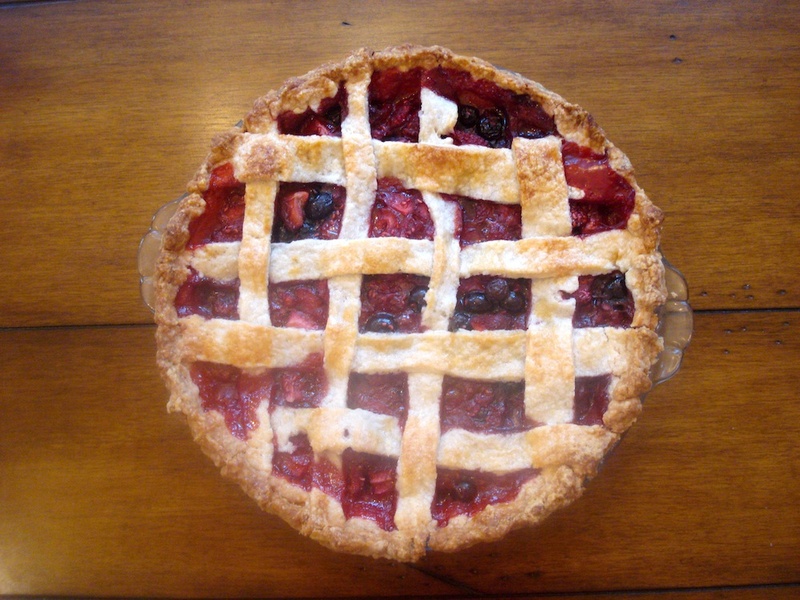 If you're looking for a great end-of-summer dessert, make this triple berry pie. It's delicious! Prepare pie dough according to recipe. In a large mixing bowl, combine strawberries, raspberries and blueberries (be careful while stirring; fresh raspberries can be mushy!). Add sugars and place in a sieve. Place sieve over a mixing bowl or the sink and let berries drain for about 20 minutes. Return the berries to mixing bowl and add cornstarch, cinnamon and salt. 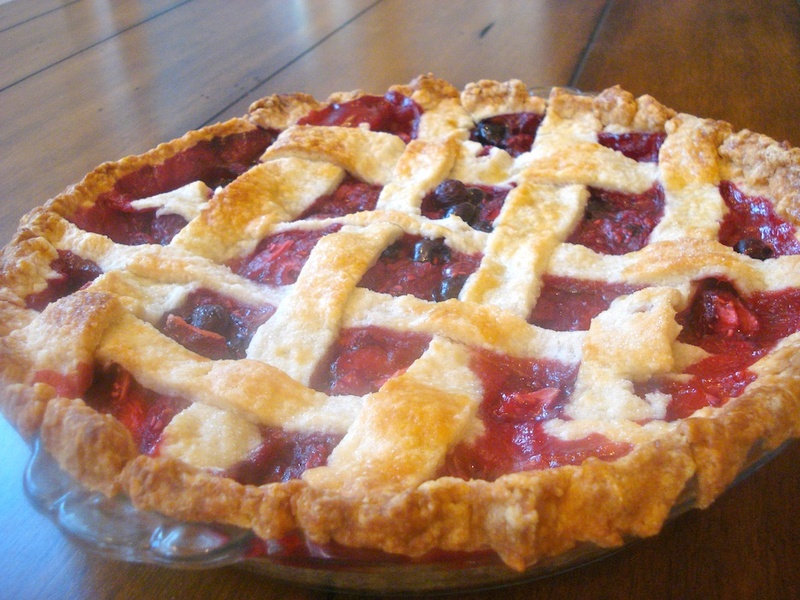 Pour into prepared pie crust, then top with other crust (either a regular crust or a lattice, as shown here). 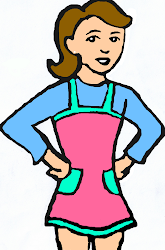 Bake in preheated oven at 400 for 20 minutes, then lower temperature to 340 to bake for another 40-50 minutes.